Not long ago, one of my friends,YeDing Wang, took a scenery photo, which he took from his living room in the early morning around 4:00. This picture really touched me, I could not help to overlay the picture on Google Earth, and made this GE tour kmz , you can see it in Youtube. 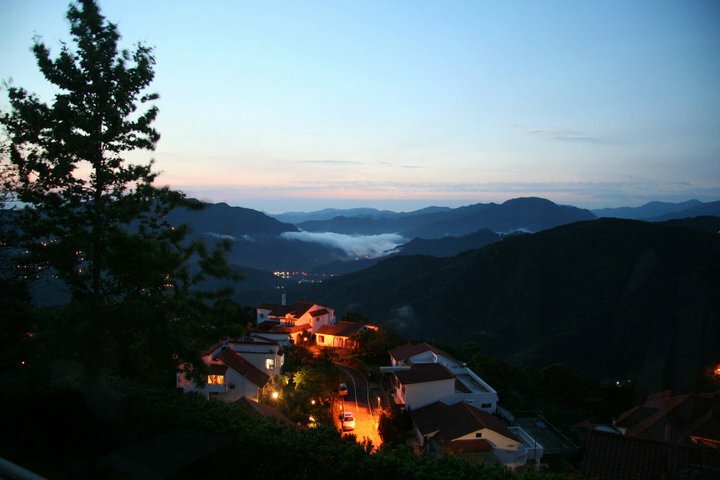 NCKU Mountaineering Association has the longest history among its peers in the field of mountaineering in national universities in Taiwan. To celebrate her sixtieth anniversary, we use the photos of the magnificent natural landscape, mountain gear, outfits, related publications, and outdoor activities to demonstrate the Association’s development and evolution over the past sixty years. These objects are milestones, marking the details of the days filled with amazing adventures. The glorious experience is a series of stories telling the changes and growth of the teenagers spending their time in the mountains. 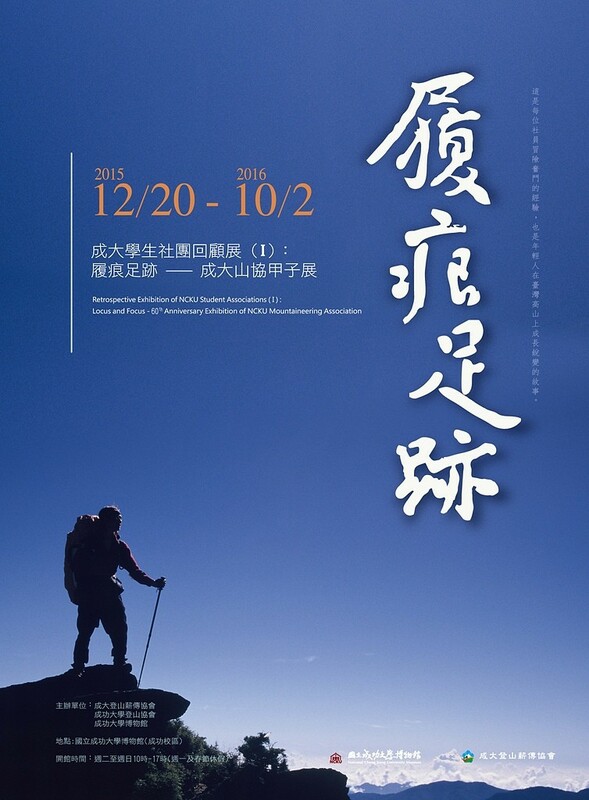 We are looking forward to letting people know the development of mountaineering in Taiwan, recalling the alumni’s unforgettable memories, and encouraging our Association members at the same time. This exhibition has nine themes, which has a theme called “Esprit de corps – Joint forces” show by video as below. Joint-force connotes an appointment held in a mountain, hikers coming from various trails gathering at a specific summit and time. Safely arrival a remote summit inside craggy sierra in time is an ambitious attempt, as barriers, obstacles, fickle weather, and unexpected situations alongside the rugged trails challenge relentlessly. NCKUMA has been accomplished 25 times joint forces. i.e. consummated 25 appointments in the past decades. The excited experience of accomplishing a joint-force always cast an unfading memory to all the participants. We would like to share our delighted and touched experiences of 3 joint forces held at Mt. Xue by following photos and records. In this video, the Mt. Xue joint-forces animation fragment(0:01:00 ~ 0:01:30) is made by image editing software. They rendered the animation base on a Google Earth picture. Which is a great presentation! But also a little stimulation to me. I have made hundreds of animations in Google Earth Tours, Regardless of any object, such as the marathon route, or hiking path, or runners icon, chinchillas bus, Blue Magpie bird, or even helicopters, all can move in Google Earth, but these are all moving single direction, “joint-forces” is a few routes moving in the same time. I have not seen such an application in Google Earth. It’s a challenge for me, but after doubled efforts, I finally done it! Here is the Google Earth animation youtube as below. Sure! you can download this KMZ file, and operate in Google Earth. Now that the technology of multi-paths gathering has developed. There are 6 main ridges in Mt. Xue range, I have an idea on the opposite direction to spread the 6 main ridges from the Mt. Xue main peak. By the way, It’s a dynamic display also contain educational significance. Here is the Google Earth animation youtube as below. You can also download this KMZ file. UPDATE: He did it! Jurek set a new supported speed record on the AppalachianTrail (AT) finishing in 46 days, 8 hours, and 7 minutes. I am a fan of Scott Jurek after I read the book “Born to Run” in 2010. In this book they discuss “the greatest race”, a 47 Km ultramarathon held in Copper Canyon (in southwestern Chihuahua, Mexico). However, in all of the book’s discussion of the race, no map or visuals are provided. Using the book and Google Earth, I built a “virtual tour of the route” then. This May 27 through Facebook he published: “Embarking on a big adventure tomorrow, something I’ve always wanted to do. The time is now!”. This race is the third segment of the “Taiwan Ultra Marathon θ Project”, also called Dual Lighthouse Race. Start from Fugui Cape Lighthouse, located in the northern tip of Taiwan to Eluanbi Lighthouse, located in the southern tip of Taiwan. As a Google Earth super-player, I would like to show the race in Google Earth. I used the same technique as “Run Taiwan 1100Km in 14 days in Google Earth” that I made two years ago. The works include eight days Google Earth tour and instant runner position, more specifically, this position is taken from real-runners cell phone GPS. So you can see the instant race report just during the race time. For those who prefer their own operations into the Google Earth, I have prepared a kmz file, please download this KMZ . The Pratas or Dongsha Islands are an atoll in the northeastern South China Sea consisting of three islets about 340 kilometers (211 mi) southeast of Hong Kong. Excluding their associated EEZ and territorial waters, the islets comprise about 2.4 km2 (0.93 sq mi), including 0.64 km2 (0.25 sq mi) of lagoon area. The islands are claimed by the People’s Republic of China, but controlled by the Republic of China (Taiwan) and organized as a national park. 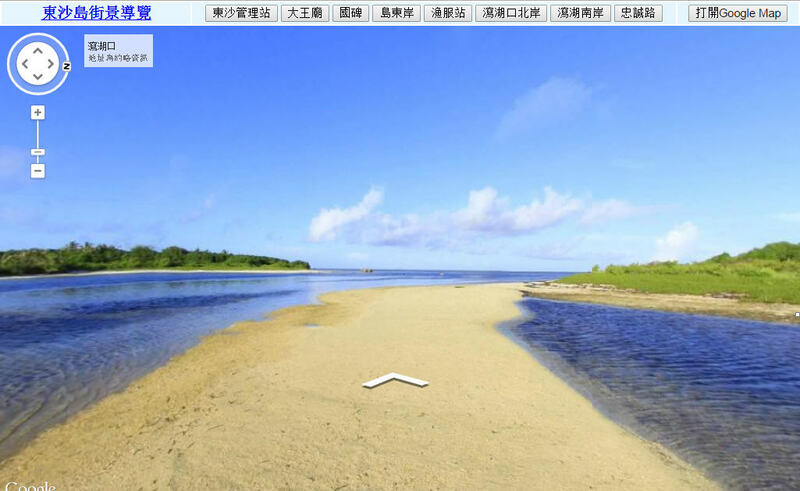 The main island of the group—Dongsha Island—is the largest of the South China Sea Islands. 2011 summer, I had a chance to Dongsha two days, I took the time to take more than 280 panorama imagery by my own way without tripod. Now I make the Streetview web page to show them. 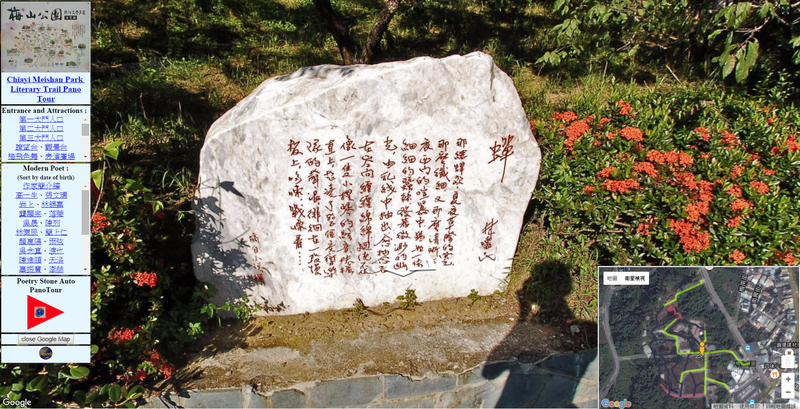 According to the two days memory, I made a Google Earth Dongsha tour. I chose a piece of music, with the ups and downs of the music, at first, show the maps and text to illustrate the Dongsha location, then fly over Dongsha Atoll until Dongsha Island, next scene, simulate C-130 transport aircraft fly to Dongsha Island Airport, then start Donsha Islanad day, early in the morning watching the Dongsha sunrise in the east side of the beach, and then explore the “South China Sea barrier” monument, visit Dongsha Dawang Temple, visit Marine National Park Dongsha station, in the evening watching the sunset in the lagoon. Finally, lying on the quiet and no interference Dongsha airport runway, watching the 180 ° viewing angle and ultra broadband, most shocking Dongsha stars. Due to Google has announced the deprecation of the Google Earth API, It’s really sad. Before I find the way to migration,I decided not to use the website to present this work. You can downloading this KMZ file , and operate in Google Earth. In this tour, there are two scenes(sunrise and sunset) that I use photorealistic atmosphere function. So, after arriving Donsha airport, the tour pause, and an instruction to ask everyone enable photorealistic atmosphere. According to the instruction, you go to [Tools] –> [Options] –> “Use photorealistic atmosphere rendering“, and then press ► to continue this tour. After this tour, remember to unenable the photorealistic atmosphere to default value.